For us this was a return visit to Pelican Landing. The units are wonderfullly decorated. The location is perfect and convenient to all the spots to visit and see. The view from the of Garrison Bight is unmatched. 8 of use stayed for a long weekend. It was large enough for us but fits 6 more comfortably. The beds were great but the pull out couch was not very comfortable. It was clean except for the dust hanging from the master bedroom ceiling. We enojoyed the balcony and the dock. Wish they would have let us keep the boat at the dock later than 11am check out day considering there were no boats around. Everything and anything needed from home or outside was there or close by. Absolutely perfect. The 7 of us had a really nice stay over spring break here. The condo was well equipped and came with enough supplies (toilet paper, dishwasher packets, etc) to almost cover the whole week. The view from the balcony is beautiful and we could see manatees poking their noses out of the water. The front desk was incredibly nice and helpful and bike rentals were super affordable. They were very flexible with us as well, and check-out instructions were very easy. The location was also pretty good, though it is a bit of a walk to Duvall St and the beaches, but not too far that you couldn't do it. Our group preferred to walk rather than take a cab. Our only nitpicks were that there weren't quite enough dishes and the floors were turning our feet black from being dirty, however the condo itself was very clean otherwise. Overall we were very happy with our stay and would come here again. Great vacation spot with a quiet environment. Perfect for families and seniors. The zero tolllerence for NOISE is a welcome rarely in noisy Key West. We highly recommend. We stayed in the Flamingo Unit at Pelican Landing. The views were beautiful and the unit was well furnished and very comfortable. It was a beautiful experience from the time we checked in until we left. The condominium was exceptionally decorated, and provided us all with a gorgeous view of the sunsets and sunrises on the balcony. The unit was clean and very comfortable. The management team was there upon arrival and departure and we had a wonderful time. We enjoyed the ability to walk to most places we wanted to go visit. Our second stay at Pelican Landing and love both the location and condo's. Great views and perfectly equipped. We'll be back. It was a wonderful experience! We loved Pelican Landing. My family and I had a great time in Key West. The unit was big and clean and had all of the amenities promised. I liked that it was just a bit away from the main street (as we were traveling with young children). We had a great time and would stay again. Another great vacation here at Pelican Landing. These people are so nice to deal with always!! Thank you for choosing Pelican Landing for your recent stay in Key West! We look forward to having you stay with us again! As usual Pelican Landing delivered an amazing vacation to our family. The staff was very helpful and we will continue to book at this wonderful place. We were pleasantly surprised on entering the condo, well lit and spacious with two decent sized bedrooms, a kitchen and living room, leading onto a balcony overlooking the pool. The only negatives were a long, hot walk into the main part of town (Duvall st) - I recommend driving in and parking in a multi storey car park. Speaking of parking, it's very tight at the condo complex. We even had to park on the street one day as all spaces were taken. This was our 3rd winter at Pelican Landing and the experience was the best. The management company made several improvements that improved our stay to the degree that we are coming back again next winter. We had a great time and will most likely be back next year! We rented this for two nights and loved our time here. The rooms and balcony are spacious and it's well equipped. We had an immediate response to an issue with the vertical blinds. The only lack was a fan of some type, which would have made the balcony more enjoyable in the July heat. Very Clean and Great for a large group! The pictures don't do this place any justice! The location and the size of the property were perfect for our group of 7. We were all very impressed at the cleaniness of the condo and the size, will def. be back again! Plenty of room for the 8 of us that stayed. Nice balcony, nice pool, and nice layout of the condo. We had no issues walking there from our boat as well as walking to and from Duval street as long as you are comfortable to walk a mile at a time. Great location, large living space, beautiful views! We only stayed 2 nights for a wedding. The condo was very spacious, decorated adorably, and had an awesome balcony. It was a much better alternative to spending the same amount for a hotel. Pelican Landing is a great place to get away for the winter. Great time, accommodations were superb. Perfect location for our needs. Condo was very clean, well furnished, in a reasonably good location, walking distance to night life on Duval St.
We will definitely stay here again. Only complaint is that the beds aren't very comfortable. Location was great and we docked our boat out hte back door. Management was very responsive to all of our questions/requests. There were 8 girls in our group for a Bachelorette Party. The condo was perfect for us although a 3rd bathroom would have been nice. It was easy to get to although cabs to Duval were priced by per person instead of distance so that still got expensive. We really enjoyed our stay! overall the stay was great , however we placed all our keys in the key box because the office was not open when we had to leave , we still got charged for a lost key that was not lost . This was the perfect stay for 6 cyclist who traveled from Orlando to Key West !! After completing a 500 mile ride, no one wanted any problems with the rental.......and there were none. Everything went smoothly without any glitches. Thanks for being so professional !! The Flamingo Retreat is wonderfully decorated. We enjoyed our stay and have booked the same two months in 2015. One minor item is that the unit could use some white wine glasses as there were only red ones when we where there. Also, the KWVPR staff is very professional and helpful. It was nice, besides the external general look! Hello Ricardo, Glad you enjoyed your stay. Please contact us for your future stay to Key West. It was exactly what we were looking for! I was there for my bachelorette party with 9 other girls and we actually had a lot of room... I liked it so much I am going back in January... Very close to Duval street, maxi taxi takes you to and from duval for super cheap! Such a great place!! I chose the Pelican Landing due its proximity to Duvall Street and the ability to secure the rental for daily rates. The unit was spacious and had a lot of accommodations within the unit. We were able to fit 8 of us with no problem. Would stay here again. 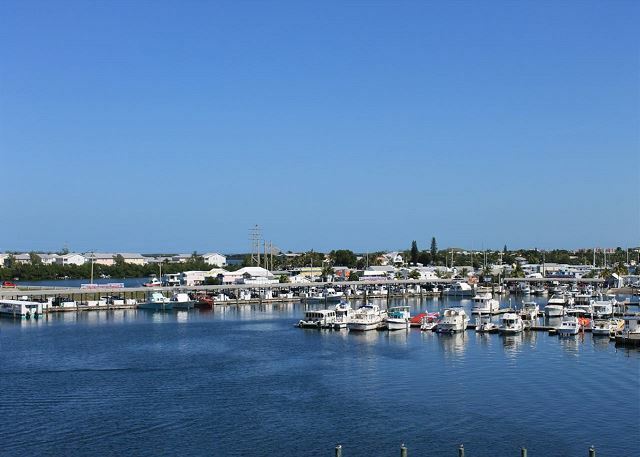 For the location, price and size, Pelican Landing is a good deal. It was very difficult to find a 3 bedroom/3 bath condo, but Pelican Landing had several at a reasonable price. Great stay, great kitchen, very clean and nicely furnished. Tammy is very pleasant and helpful. Quiet location except for a few "sirens". Would definitely stay again. We made last minute reservations and received more than what we expected! Thank You Pelican Landing! Slight problem at check-in with the elevator, but we understand those things happen! Would do it all over again! WE HAVE STAYED HERE MANY TIMES BEFORE AND HAVE ALWAYS BEEN SATISFIED, HOWEVER, THIS TIME, THE FIRST THING I NOTICED WAS THE FLOORS WERE SOO MUCH CLEANER. I THOUGHT IT WAS BECAUSE WE HAD A DIFFERENT ROOM THIS TIME. I WENT TO THE OFFICE AND COMPLIMENTED TAMMY ON HOW MUCH BETTER THIS ROOM WAS DUE TO THE FLOORS BEING CLEANER (YOU CAN NOT HELP BUT TRACK IN DUVAL STREET). SHE SAID, THANK YOU FOR NOTICING AS THEY HAD CHANGED THEIR FLOOR CLEANER AND THAT WAS THE REASON. IT'S WORKING!! WE ESPECIALLY LIKE THAT WE CAN TAKE THE BACKROAD OME AT NIGHT BY SCOOTER (OLIVIA) AND AVOID THE TRAFFIC. THAT MAKES THE LOCATION CONVENIENT AND YOU GET A BREAK FROM ALL THE HYPE AND CAN RELAX ON THE BALCONY OVERLOOKING THE BAY. NICE. This was our third time staying in the Flamingo Retreat. We love staying here, however there are a few areas of opportunity. All 3 mattresses in the room are horrible. It is like sleeping in a canyon. The shower has very little water pressure and the water does not get very hot. Also the televisions in the rooms are terribly small. It's like trying to watch t.v. on a computer monitor in the bedrooms. Overall we love staying here and plan on coming back next year, these are just a few suggestions. Recently stayed here with another couple. Apartment was nice and comfortable for the four of us. Location was within walking distance of Duval and Front St. 15 to 20 min. nice walk right down Truman or through the streets to see how the locals live. Easy check in and check out. Front desk people were excellent. Close to beach. Only thing I would do different is check to make sure you don't have any spring breakers in apt. upstairs or downstairs. The 4am wake up when they came home wasn't one of my highlights but I can remember those days so I just rolled over and went back to sleep. My wife and the other couple never heard them so I guess we had a great time those two nights ourselves. The price was reasonable. Pool needs sprucing up. Would recommend for people just looking for a place to stay within walking distance no frills. Many pros, only con is that it was one mile from Duval Street. So if you are looking to stay a quick walk away from all of the bars and restaurants, maybe pick a closer place. We rented bikes and it worked perfectly, however. Our company ran the Ragnar Relay race and needed a place to stay at the end for a group. Everyone was very comfortable at this location. We actually rented two condos for the night and everyone said they were very comfortable and that they had plenty of room. Thank you for allowing us to rent these condos for a short term. It was the icing on the cake at the end of a very long, but fun couple of days. Our stay in 3020 was OK. Two points: the central air conditioning does NOT work in this unit. The condo temp. never went below 80degrees. Secondly, we had to wash our feet every time we walked barefoot - tiles and lanai floor made our feet bottoms black. 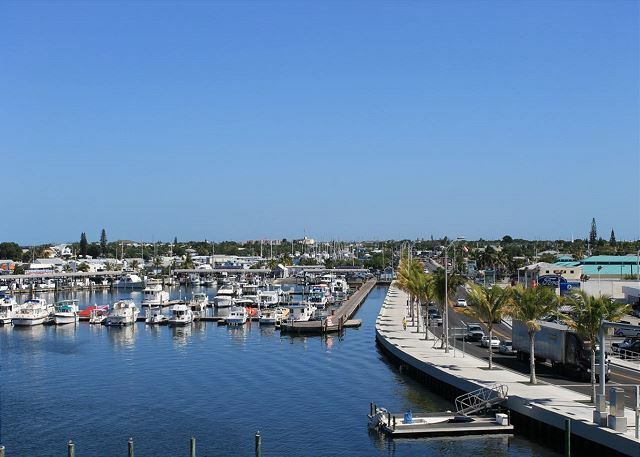 Good solid place for boaters to enjoy all of Key West! Our stay was absolutely outstanding. The only recommendation I might add is the need to maybe collect trash more often being that there is lots of food stuff and fish it attracted lots of flies. Besides that, the place is an absolute 5. Elevator - Definitely need to improve the speed of the elevator. Ice machine - should check into getting a 2nd ice machine as the one is often empty. Paking - Parking is a pain and nearly impossible to get big vehicles into some of the spaces.